Lutheranism emerged from the theology of Martin Luther in the sixteenth century, when he could not reconcile his faith with the corruption he saw in the Roman Catholic church. While at first, Luther sought only to reform the Catholic Church, his protests eventually led to the beginnings of the Protestant Reformation. Luther's primary objection to the Catholic Church was the belief in "salvation through works," which manifested itself through the sale of indulgences. For Luther, acting good or righteous would not guarantee salvation. Luther emphasized salvation through faith alone. Simply believing in God and Christ was enough. 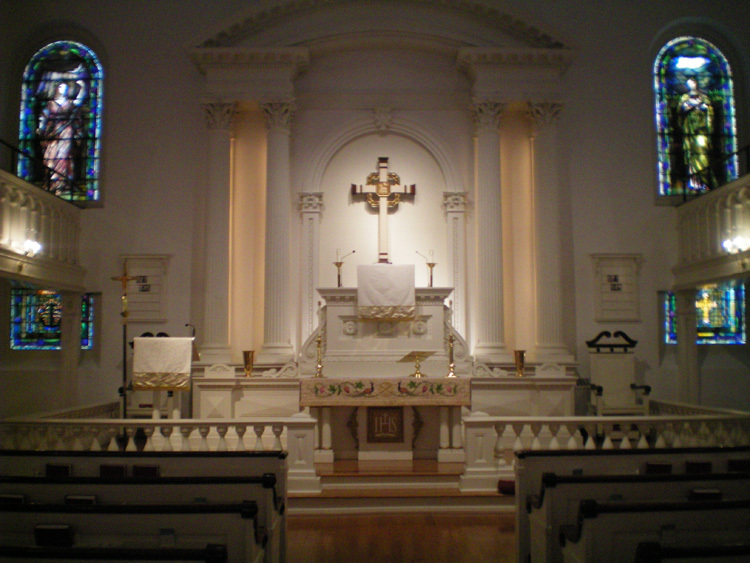 Lutheran churches vary in their decoration, but there will rarely be statues, as there are in Catholic churches. There may be paintings or stained glass windows with depictions of Jesus or God, but rarely of Mary, as they do not venerate her as the Catholic and Eastern Orthodox Churches do. The congregation of Trinity Lutheran Church was formed at almost the exact same time as the city of Reading itself. The original log church was completed in 1752, with Conrad Weiser as one of its trustees. 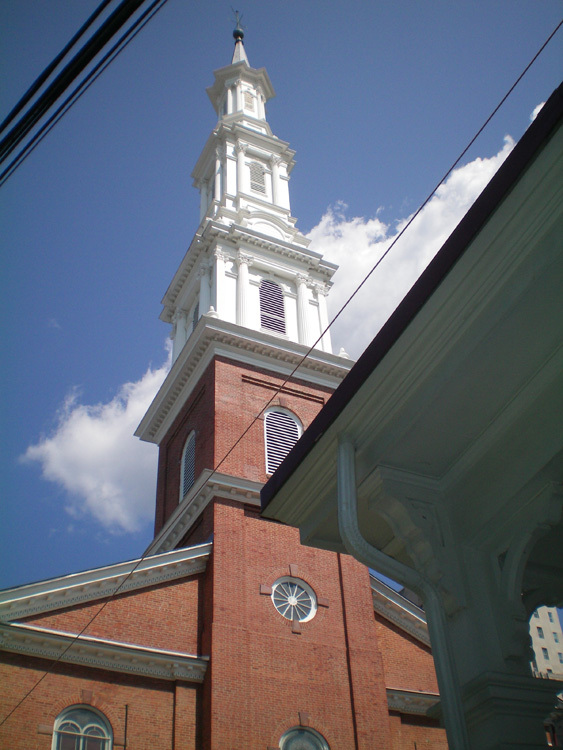 The present brick structure was dedicated on Trinity Sunday, 1794, and the first steeple was completed in 1833. At the time, its 200 feet made Trinity the tallest building in Pennsylvania. Sixty years later, it was declared unsafe and was rebuilt. The second steeple only lasted until 1933, when it was destroyed by a tornado, causing the steeple to crash down and destroy part of the roof. The roof was repaired, but the steeple was not rebuilt until 1963. The current steeple is an exact replica of the original one built in 1833. 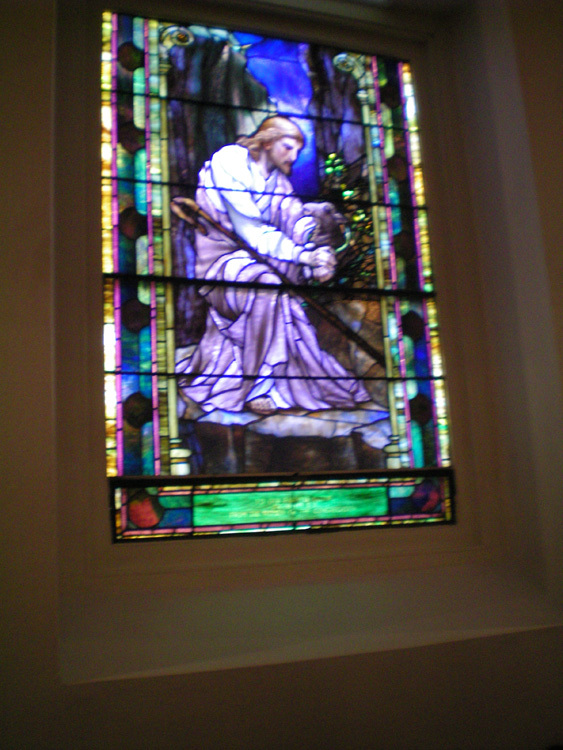 Renovations in 1851 had moved the sanctuary of the church from the first floor to a new second floor, the Tiffany windows were installed in 1894, and the porch was completed in 1900, giving Trinity its present appearance. 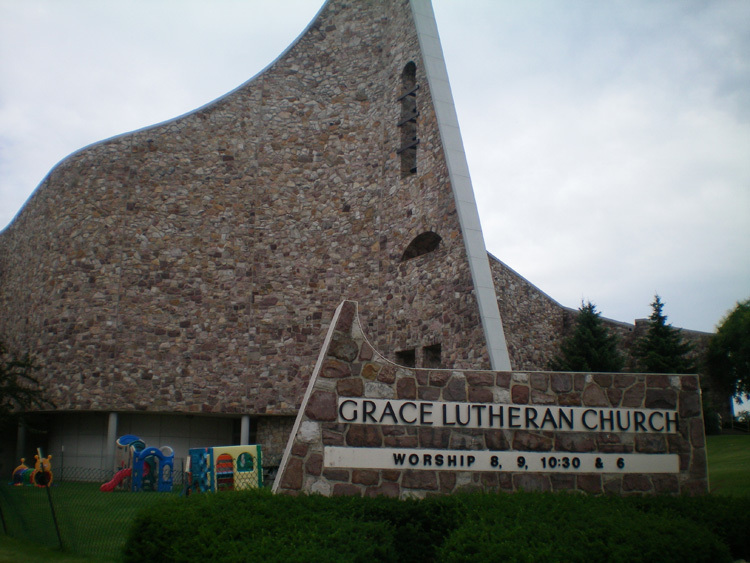 The congregation of Grace Lutheran Church began in 1905, and the first church was finished in 1908. Tremendous fund-raising efforts were required to build the first church, in addition to generous donations from parishioners. Over the next five decades, the congregation grew to such a size that, by 1957 it was agreed that a new church had to be built. Once again, generous donations and pledges, along with some compromises to the original building plan and a few creative cost-cutting measures, led to the construction of the new church at the present location. The unique design of the church was meant to look modern both at the time of its construction and in the future. Grace Lutheran is heavily involved in the community, hosting numerous activities, such as Meals on Wheels and a strong campus ministry program.